<em>The Weekly Standard</em> wants to become Facebook’s fact-checking partner, but will it fact check itself? Home > The Weekly Standard wants to become Facebook’s fact-checking partner, but will it fact check itself? The Weekly Standard wants to become Facebook’s fact-checking partner, but will it fact check itself? The Weekly Standard, which is reportedly in talks with Facebook  to become its fact-checking partner, published an article in its new fact-checking section debunking a popular right-wing media myth about former Democratic presidential nominee Hillary Clinton. But The Weekly Standard has itself pushed this misinformation in multiple articles -- one of which was published just days before the fact check. In 2015, discredited right-wing author Peter Schweizer alleged  in his book Clinton Cash that Clinton played a "central role" in approving the purchase of Uranium One by the Russian State Atomic Nuclear Agency. Schweizer speculated that Clinton did so because the Russians and people linked to the deal reportedly gave money to the Clinton Foundation and her husband. But these bogus allegations were quickly  debunked . Schweizer and his publisher subsequently deleted numerous errors  from the electronic version of his book. Right-wing media recently revived  the Uranium One story and were helped along by President Donald Trump and his Republican lawmaker allies (it is now the focus of a partisan House investigation and Congressional resolution  to remove the former FBI Director Robert Mueller, who is currently investigating Trump). 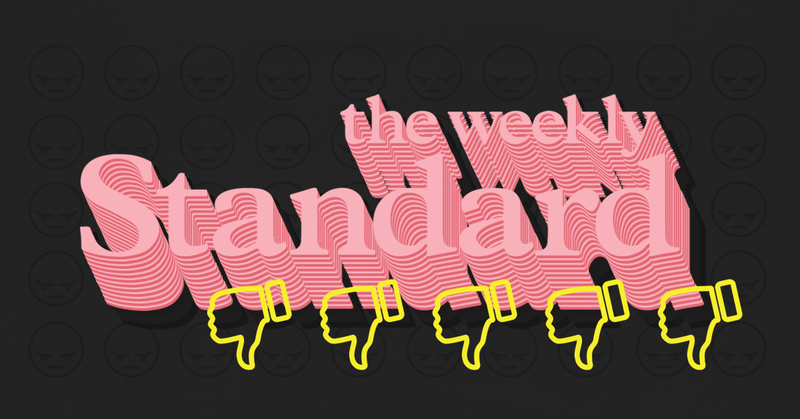 Up until now, the Standard has had no dedicated fact-checking unit. The outlet recently posted  a job opening for its first-ever fact-checker. The Standard’s efforts to form a neutral, independent fact-checking unit are a requirement  for the outlet to partner with Facebook’s fact-checking consortium. And though the Standard has not yet been approved to join the Facebook fact-checking collaboration, its fact-check of a persistent right-wing media lie like the Uranium One myth suggests that the magazine is attempting to insulate its new fact-checking unit from the outlet’s explicit partisanship -- a “walled garden” of sorts. But this is useless if the misinformation it is debunking is pushed by the outlet itself. If the Standard’s news section pushes right-wing lies, and the Standard fact checks that very same misinformation, then is the fact-checking unit really a reputable source of information? These first stumbling blocks require us to ask the Standard: Will its new unit have to regularly fact-check its own outlet? If the Standard hopes to be taken seriously as a fact-checker, it will have to own up to its own history of misinformation  and stop pushing other conservative lies . Visit mediamatters.nationbuilder.com/facebook-weekly-standard  to learn more about how you can get involved in the effort to stop Facebook from partnering with the Weekly Standard to fact-check.